The prevalence of mobile devices has made educating food workers readily accessible via multiple venues. The food industry is becoming increasingly fast-paced. Regulations are changing, the supply chain is becoming more transparent, and resources are harder to access. 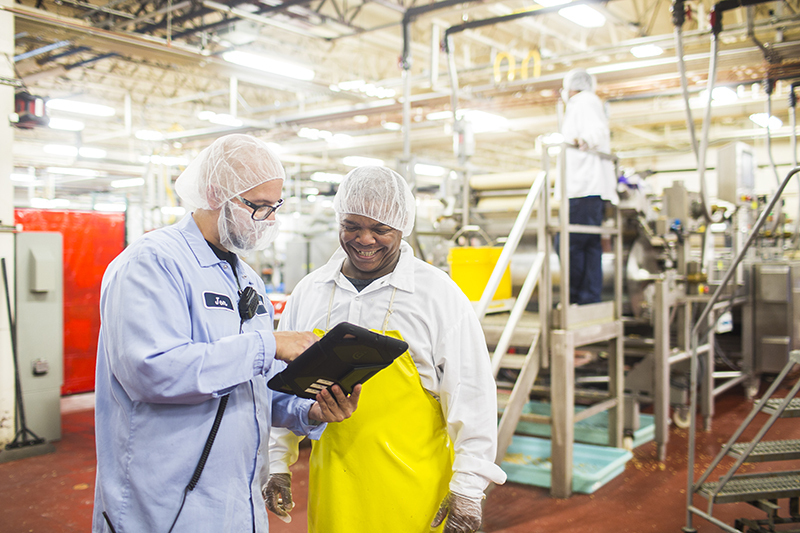 To meet the needs of an ever-changing industry, digital learning is becoming the go-to solution for training managers and frontline food handlers alike, as it can be done quickly and efficiently. Now that most people have smartphones and mobile devices, there are multiple ways to make learning accessible. The “Mind of the Food Worker” study conducted by the Center for Research and Public Policy (CRPP) points out that food workers have developed a preference for digital training over traditional classroom or instructor-conducted training. There are many new approaches to learning, including web-based eLearning, kiosk, gamification/competition, social media, digital signage, and coordinated communication programs. Let’s take a closer look at each of these. eLearning is no longer about reading through a PowerPoint presentation or watching a pre-recorded video. The number of companies offering eLearning continues to increase, as do the topics, content and format of the content. In addition, eLearning carries the added benefit of being affordable. For many companies, saving on the cost of travel when an individual attends a workshop provides an attractive incentive. The ability to learn at one’s own pace at the time and place of one’s choosing has special appeal for today’s learners. The availability of eLearning via mobile devices is meeting that desire. It can be seen everywhere—people glued to their mobile devices while waiting in line, taking a lunch break, or in the evenings on their own time. This is multitasking at its finest. The ability to take a device to a quiet environment helps with concentration and efficiency in training. Kiosks can be set up in an area that is conducive to learning with no traffic, noise or other distractions and are popping up at workplaces more and more. Learners can come and go at their convenience. A learning lab set up in a manufacturing facility will pay for itself very quickly. Sending workers to the lab one at a time is much more cost effective than shutting down a line or area of the plant for group or classroom training. Gamification, the use of interactive tools in conjunction with learning, is a term being used more often in training industry vocabulary. For example, it can involve the addition of a word and a definition-matching exercise in conjunction with a training module to encourage learners to retain what they have just learned. It also makes the education process more fun—and it seems to be working. Gone are the days of sitting through hours and hours of dry lectures or reading textbooks that simply do not resonate. 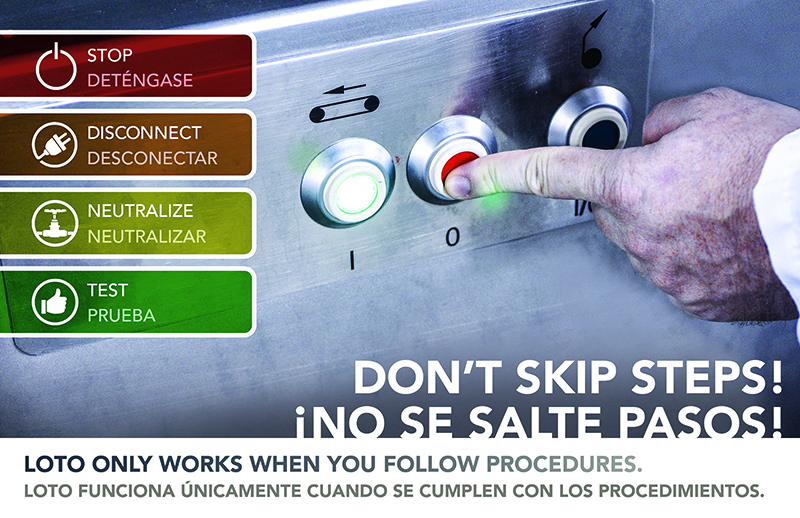 This method has always been especially difficult for employees working in a food plant. Sitting in a warm darkened room listening to a droning presentation is an invitation to sleep. Gamification eliminates the droning, and requires attention and participation. The Association for Psychological Science has confirmed that competition engages learners, drives retention, and leads to higher test scores. Got a boring topic for training? Get your game on! A great example of gamified learning that is readily available is Merriam-Webster’s Word of the Day. Sign up for free and receive a daily email with a new word, along with its pronunciation, definition(s), use and history. The email also links to several great games that provide word calisthenics for the brain. Leveraging social media helps to expand and continuously improve training programs. This mode of technology will ensure that every employee in a company has timely, consistent answers to questions. Using private company social media provides a safe environment for posting questions and answers while complementing a training program and filling any knowledge gaps. The CRPP study points out that 80% of workers regularly use public social media platforms such as Facebook and LinkedIn. Companies can take full advantage of this familiarity with social media by providing an internal forum that encourages open discussion and group learning. This approach enables the workforce to engage in an interactive learning path that is continually up to date. Internal social media also encourages networking, which fosters a sense of camaraderie between individuals, along with company loyalty. One major food company that has used this approach has seen employee questions flourish from 3,000 entries in the first year to more than 15,000 the following year. What an incredible way to keep the workforce updated minute by minute with appropriate, relevant answers to their inquiries. Take action to develop and maintain a culture of accountability within your organization. 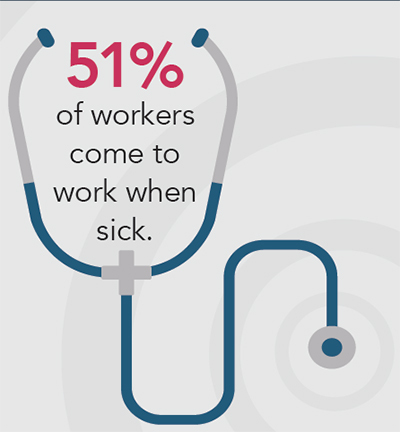 A new survey points to the serious issue of consumer health and keeping food workers home when they are ill.
Industry must own the fact that employees hold the key to food safety. Leveraging this critical interaction will help companies get the most out of training. Implement these 10 concepts to bring training and education full circle, and to provide forward momentum in the process of developing a fully engaged and highly productive workforce. Holly Mockus is a product manager with Alchemy Systems where she creates world-class workforce development solutions for large, complex operations within the food industry. With more than 30 years of experience in the food industry at companies that include ConAgra, Kellogg, and Sara Lee, Mockus has held positions in Food Safety, quality assurance, sanitation, and plant regulatory affairs. 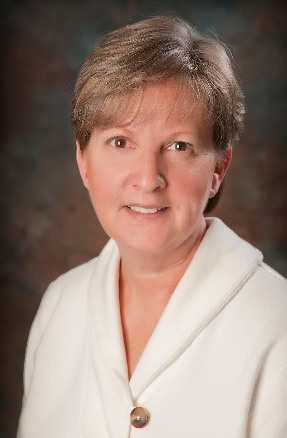 She has authored several chapters related to the importance of record keeping and documentation in the food industry. Mockus was the 2013 recipient of the Safe Quality Food Institute’s Outstanding Achievement Award, and is passionate about the importance of training in the food industry including the cultivation of successful safety cultures.